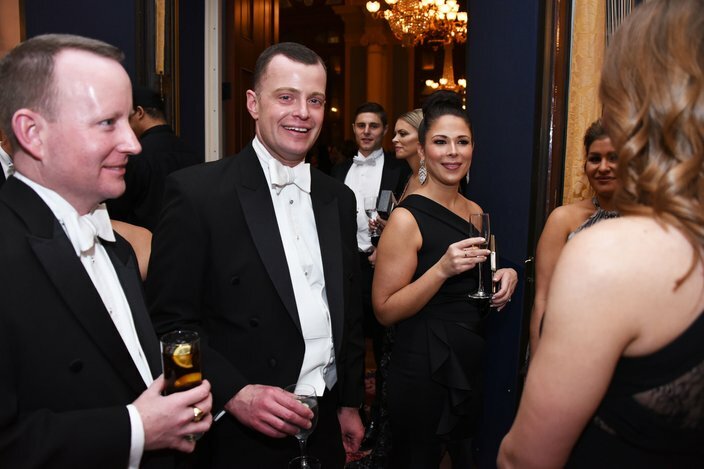 After a reception and concert, featuring opera singer Aida Garifullina, patrons took the traditional walk up Broad Street to the Bellevue Hotel for the annual dinner and ball. Dame Helen Mirren, left, and Yannick Nézet-Séguin, right, take their bows at the 162nd Academy of Music Anniversary Concert and Ball on Saturday, Jan. 26, 2019. 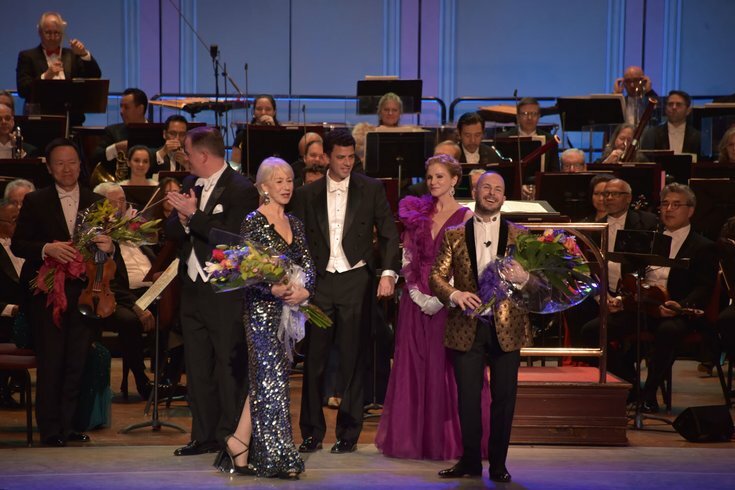 Dame Helen Mirren was in Center City Philadelphia on Saturday for the The Academy of Music's 162nd Anniversary Concert and Ball. The night started with the Chairman’s Pre-Concert Reception hosted by Caroline B. Rogers, the Academy's board chair, in the ballroom. Guests dined on fare from Garces Events while posing for photos on the red carpet. Mirren and other guests then headed into the Academy of Music Auditorium for the concert featuring the Pennsylvania Ballet, opera singer Aida Garifullina, the Keystone State Boyschoir, the New Jersey State Boyschoir and The Philadelphia Orchestra under the baton of Music Director Yannick Nézet-Séguin. After the concert, attendees took the traditional walk up Broad Street to the Bellevue Hotel for the dinner and ball which filled all of the reception rooms in the historic hotel. Proceeds from the event will be split between the orchestra and Academy restoration projects. Last year’s event funded a new HVAC system installed over the summer. Here are some photos from the evening. 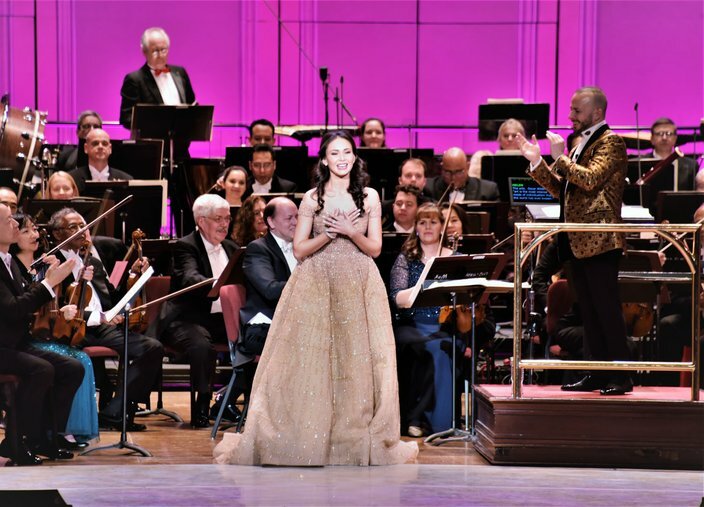 Soprano Aida Garifullina performed “Je veux vivre (Juliet's Waltz)” from Gounod's “Romeo and Juliet” as Philadelphia Orchestra Music Director Yannick Nézet-Séguin claps with approval at the 162nd Academy of Music Anniversary Concert and Ball, on Saturday, Jan. 26, 2019. Dr. Thanuja Hamilton and Nicholas Perugino make their way into the Academy Music for the 162nd Academy of Music Anniversary Concert and Ball on Saturday, Jan. 26, 2019. New parents Amber and Pedro Goins arrive at the 162nd Academy of Music Anniversary Concert and Ball, on Saturday, Jan. 26, 2019. Ralph DeVito, Teresa C. Kenny and Brian Lipstein pose for a photo at the 162nd Academy of Music Anniversary Concert and Ball on Saturday, Jan. 26, 2019. 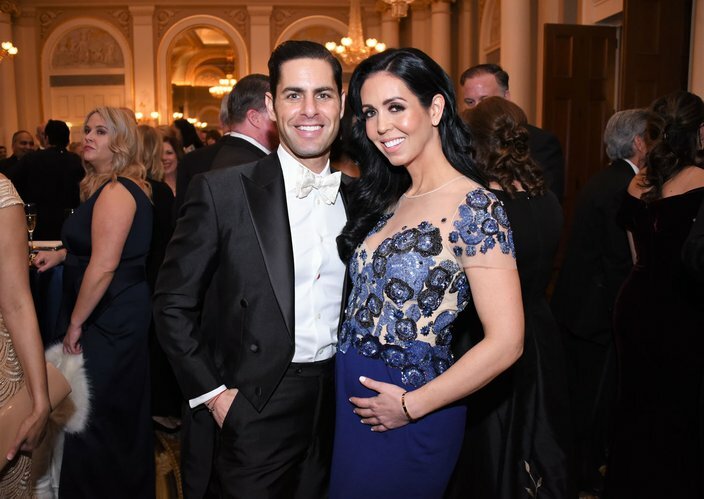 Brandon Morrison and Stacey Kracher at the 162nd Academy of Music Anniversary Concert and Ball on Saturday, Jan. 26, 2019. From left, Chuck Lentz, Matthew Lentz, co-chair of the Young Friends of the Academy of Music, and Allison Lang chat with friends at the 162nd Academy of Music Anniversary Concert and Ball on Saturday, Jan. 26, 2019. 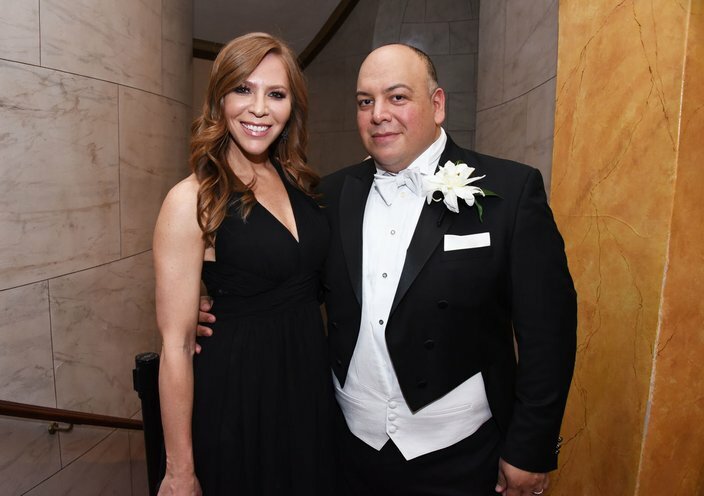 Kristin Detterline, co-chair of the Young Friends of the Academy of Music, and Jimmy Contreras of the Ritz Carlton at the 162nd Academy of Music Anniversary Concert and Ball, Saturday, Jan. 26, 2019. 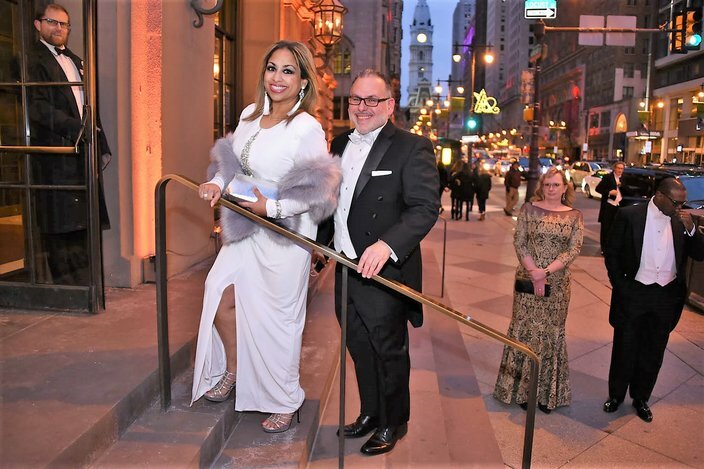 Letty Santarelli and Mayor Jim Kenney at the 162nd Academy of Music Anniversary Concert and Ball on Saturday, Jan. 26, 2019. 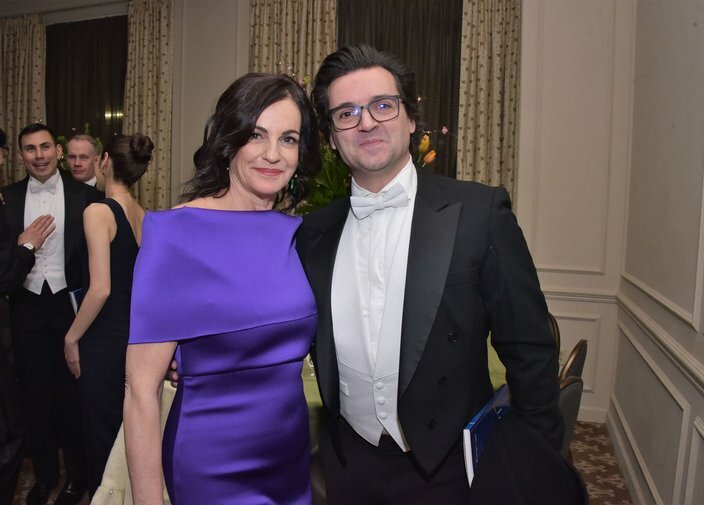 Shelly Power, executive director of the Pennsylvania Ballet, and Angel Corella, the ballet's artistic director, at the 162nd Academy of Music Anniversary Concert and Ball on Saturday, Jan. 26, 2019. 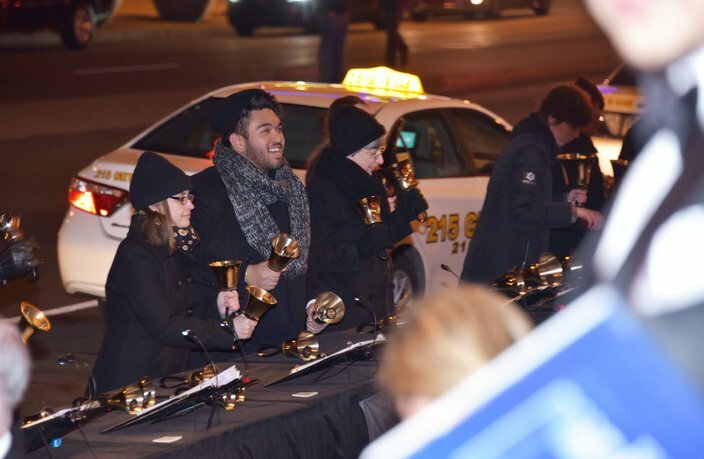 After the concert, guests head to the Bellevue Hotel for dinner and dancing, along the way musical acts like Philadelphia Handbell Ensemble entertain the promenade at the 162nd Academy of Music Anniversary Concert and Ball on Saturday, Jan. 26, 2019.